Psychotherapist and trauma survivor Jasmin Lee Cori offers new insight into trauma-related difficulties (including PTSD, depression, substance abuse), provides self-care tools, candor about therapy and medications, and addresses spiritual issues. While there are many different approaches to healing trauma, few offer a wide range of perspectives and options. 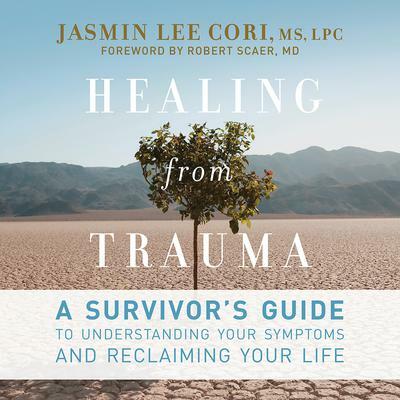 With innovative insight into trauma-related difficulties, Jasmin Lee Cori helps you: Understand trauma and its devastating impacts; Identify symptoms of trauma (dissociation, numbing, etc.) and common mental health problems that stem from trauma; Manage traumatic reactions and memories; Create a more balanced life that supports your recovery; Choose appropriate interventions (therapies, self-help groups, medications and alternatives); Recognize how far you've come in your healing and what you need to keep growing. Complete with exercises, healing stories, points to remember, and resources, this is a perfect companion for anyone seeking to reclaim their life from the devastating impacts of trauma.